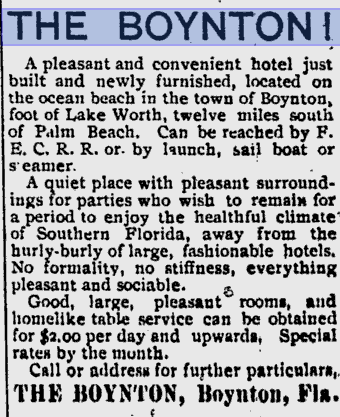 Boynton Beach Historical Society » Citizens » No hurly-burly in Boynton! So who could have written the ad with the somewhat British expression? It very well could have been Albert Edward Parker, who managed the hotel for many years. He was Major Nathan S. Boynton’s son-in-law, married to his daughter Anna. 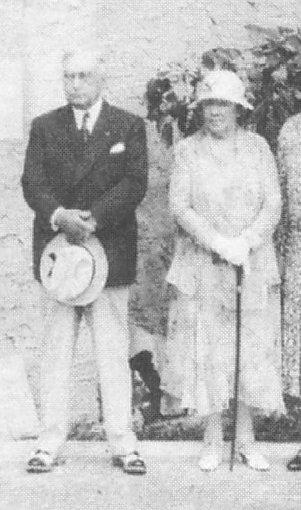 The only known picture of them was taken at the Boynton Woman’s Club dedication in 1932. Parker was a native of England, born in 1873 who emigrated to America in 1886. A.E. Parker also has a special spot in Palm Beach County’s history as the first naturalized citizen, sworn in on the day that Palm Beach County became official, July 1, 1909. 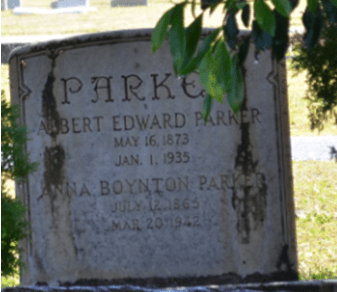 Parker managed the hotel until the early 1920s, and also had the first dairy in Boynton, the Bertana farm, which was a combination of his first name and Anna’s. He went by the name “Bert” among his friends. He went on to become West Palm Beach’s city manager, and eventually sold real estate in Palm Beach. He built a beautiful Mediterranean-revival house on Flagler Drive (recently renovated). Albert passed away in 1935; he and Anna are interred at Woodlawn Cemetery in West Palm Beach. Tagged A.E. Parker, Anna Boynton Parker, Bertana Farms, Boynton Beach, Boynton Hotel, Major Nathan S. Boynton. Bookmark the permalink.